Lampard: Pogba must wreck Mourinho's head & I don't like his 'YouTube' tricks! 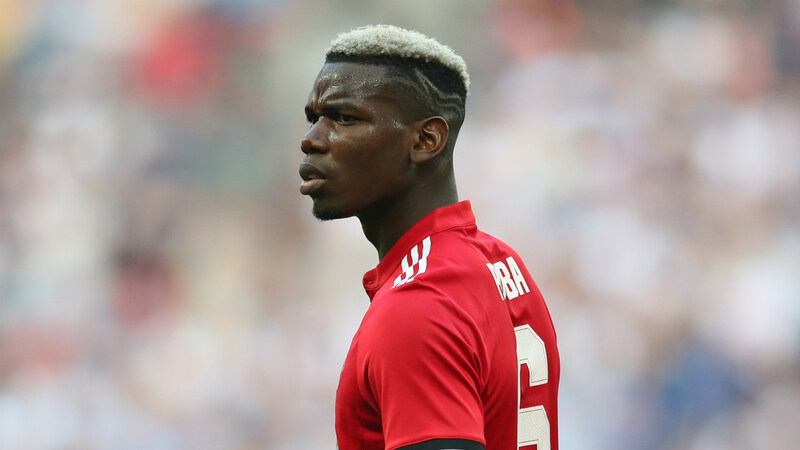 Paul Pogba must "wreck" Jose Mourinho's head with his flashy tricks and sub-par performances, according to former Chelsea and England midfielder Frank Lampard. Pogba has struggled to live up to his £89 million ($120m) transfer fee at United, and has sparkled only intermittently this season. While the France international, who will represent his country at the World Cup this summer, has scored six goals and provided 10 assists thus far this season ahead of the FA Cup final against Chelsea, he has also frustrated with a perceived lack of end product at times. And Lampard believes Pogba, whom he believes is a better player than he was, needs to start asserting his authority on games more often, as he has all the attributes required to be the complete midfielder. “I don't know what Pogba is. He makes bad decisions but then does fantastic things which must wreck Jose's head," he said at the Football Writers' Association (FWA) event. "Mourinho tried to embarrass him out of it and I worry Pogba did not get it. Pogba is naturally more talented than I was, he would run all over me and has better feet, but there's no point dribbling in your own half. "All that 'flick and roll of the studs', I'm not an advocate of that. A lot of young players see it on YouTube and think it's amazing but I don't like it. He has delved to that side too much. United beat Tottenham 2-1 in a topsy-turvy semi-final to reach the FA Cup final, while Chelsea defeated Southampton. Neither side truly impressed in the Premier League, with United finishing second, 19 points behind Manchester City, while the Blues failed to qualify for the Champions League, finishing fifth, five points behind Liverpool. Chelsea lost 3-0 to Newcastle on the final day of the season, and such results have led to intense speculation over the future of Antonio Conte, who is expected to leave the club this summer. Nevertheless, Lampard believes the Blues must win the trophy and set aside any kind of ill-will regarding the Italian's situation. “We know the requirements at Chelsea, and (winning) it would put a gloss on a season that still has questions over it," he added. “Neither side (Chelsea or Conte) comes out of it with a load of glory. The players should want to win it for him and the club, no matter what. Lampard was speaking at FWA Live, organised by the FWA and William Hill at the Landmark Hotel London on Thursday May 17.